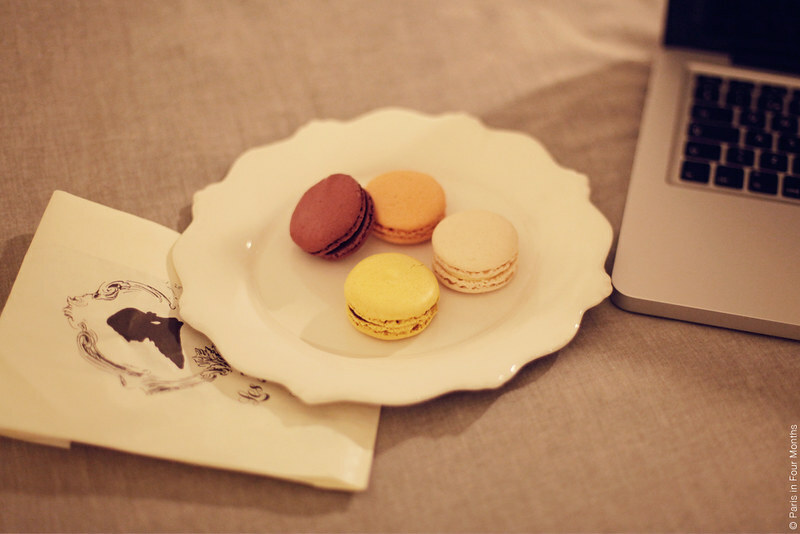 In bed with delicious macarons. The perfect end to any kind of day! Where are they from you might wonder? Well, these are from a completely new place — both to me and to Paris. I promise to tell you all about it tomorrow. And of course if they're worth a visit!